After the shocking murder of a high-profile celebrity, Gemma Woodstock must pull back the layers of a gilded cage to discover who among the victim's friends and family can be trusted--and who may be the killer. Troubled and brilliant, Detective Sergeant Gemma Woodstock finds herself lost and alone after a recent move to Melbourne, brokenhearted by the decisions she's had to make. Her new workplace is a minefield and Detective Sergeant Nick Fleet, the partner she has been assigned, is uncommunicative and often hostile. When a homeless man is murdered and Gemma is put on the case, she can't help feeling a connection with the victim and his lonely, isolated existence. Then Sterling Wade, an up-and-coming actor filming his breakout performance in a closed-off city street, is murdered in the middle of an action-packed shot, and Gemma and Nick have to put aside their differences to unravel the mysteries surrounding the actor's life and death. Who could commit such a brazen crime? Who stands to profit from it? Far too many people, and none of them can be trusted. Gemma can't imagine a pair of victims with less in common--and yet as Gemma and Fleet soon learn, both men were keeping secrets that may have led to their deaths. 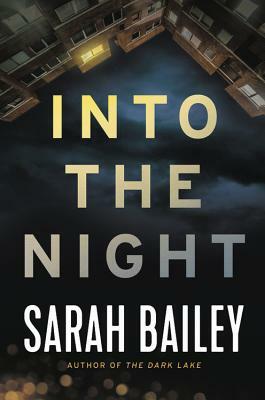 Sarah Bailey was born in Melbourne, Australia, where she has lived all her life and currently resides with her two young sons. She has a degree in journalism and has a career in advertising. She is currently a partner at the creative agency Mr Smith. "Beautifully written, compulsively readable, and highly recommended."